A potential employer may not have time to carefully read each and every resume that comes across his desk. The first feature of a career resume that will stand out is bullet points. This gives the employer an opportunity to quickly scan your resume to make sure that you have the qualifications and meet the minimum requirements for a job. If you make it too difficult to scan your resume, then you risk an employer not even bothering to read what you've sent. Nothing makes a resume more professional looking than a brief summary of your background and qualifications. It helps to give the employer a picture of who you are, and if done well, you can begin to draw them in to reading the rest of your resume. You can use bullet points in your summary, or write a brief paragraph, especially if you want to display your writing skills. If you send out a generic resume to different employers in different industries, you'll may find yourself getting back generic rejection letters. You have to tailor your resume to catch the eye of your employer, even if it's only geared toward a specific industry. For example, your freelance writing resume should not look like you're applying to become a non-profit director. Before you send out your resume, figure out how you can rewrite or rearrange it in a way to capture the employer's attention. 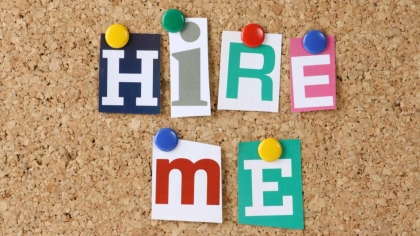 Make sure you include any experience you have that would make you more marketable as a candidate. A resume does serve to show the work you've done in the past. However, you will stand out from the competition if you emphasize your accomplishments. If you're applying for any freelance or independent work, this will help to demonstrate that you are capable of doing the job because you've already done the same or related jobs in the past. If you only emphasize your skills, then you may be shoved to the back of the pile behind someone else who is proven. When you're in a competitive job market, you don't want to pad your resume with personal information. The employer is interested in whether or not you're qualified. They don't want to know that you enjoy knitting on the weekends or that you're a member of your local chamber of commerce. Rather than using these "resume fillers", try to identify other skills, accomplishments and work experience that will help you land the job with this particular employer. Include any volunteer experience, but only if it will help to set you apart from other applicants. Your resume will be taken more seriously if you address each of these features in it. A great career resume can be your ticket to getting your next pay check; take the time to make it stand out.